People like to say that science is self-correcting. Events in China last week pose a serious challenge to that reassuring platitude. How do researchers respond to the failure of medical ethics, collective responsibility and professional standards that saw an immature experimental technique used to help produce human babies? Verification of He’s claims could be difficult, given that privacy concerns rightly protect the identity of the parents and their one-month-old twin girls. 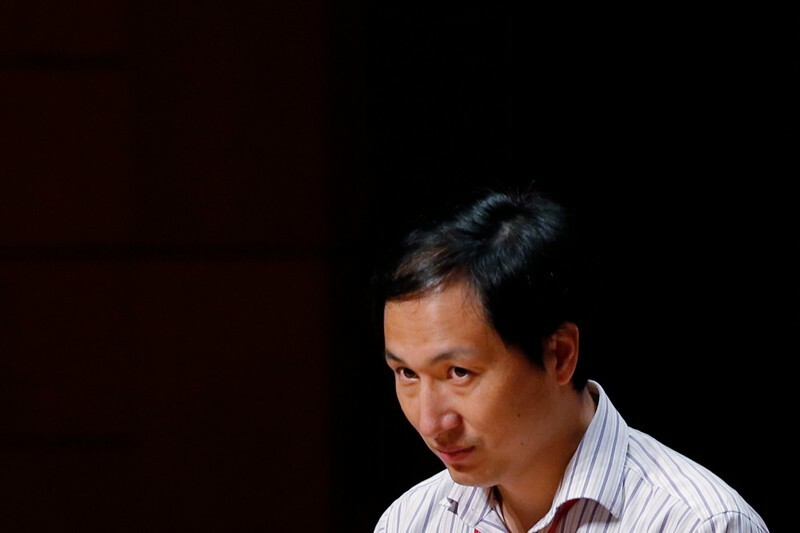 But many scientists in the field agree on two things: the relative simplicity and widespread availability of the gene-editing tool CRISPR–Cas9 mean that what He claims to have done is eminently possible; and, whether or not he is the first person to have genetically edited a baby, he will not be the last. So, although testing the accuracy of his claim is a priority, so too is ensuring that any future efforts to genetically edit the germ line of human babies proceed in a much more regulated and responsible way. The scientific community still has the opportunity to take the lead on this — public and political reaction to last week’s news has been calmer than many might have expected — and it should do so urgently. Some argue that the circumstances in which germline gene editing would be beneficial, such as to reverse disease-causing mutations that could not be addressed in any other way, are likely to be extremely rare. Nevertheless, given that research and medicine move fast, a clear regulatory system needs to be devised and put in place in case a credible proposal arises. Such a regulatory system should draw on those that already exist to guide the use of gene-editing tools for research into human development, and more broadly govern medical testing of innovative therapies. But it should not start with the assumption that future germline editing is a foregone conclusion — that is a question for society, not scientists, and one that demands the input of different stakeholders from across the world. Researchers and physicians must ask permission rather than beg for forgiveness. So, how can the gene-editing community set up a better system? A starting point would be a global registry (or national registries) set up by funders or governments to record preclinical research that involves gene editing in human embryos. This would require the objectives, steps and limitations of projects to be spelled out from an early stage. The records should also detail the steps taken for ethical approval and oversight of the research. The 2016 guidelines from the International Society for Stem Cell Research are a good model to follow for regulation of research that involves human embryos and gametes, including research into germline gene editing. Such registries could also provide a mechanism to flag research projects that do not meet high ethical and technical standards, and a route to apply pressure on individuals and their institutions to improve. And they could provide a framework, if the time comes, to define a path to the clinic. They would help to explain the risks and potential benefits to people — such as prospective parents — so they can make more informed choices. He’s claims to have communicated his intentions and actions to the scientific community do not stand up to serious scrutiny. The community — from individual researchers to institutions — can and must do more to encourage more meaningful, transparent engagement and discussion on specific projects. In return, scientists who are trusted to carry out research have the responsibility to welcome and embrace scrutiny.